Crop Sheet for G Suite provides the ability to quickly remove extra rows and columns from a sheet. Work for Crop Sheet for G Suite? Learning about Crop Sheet for G Suite? What G Suite Office Tools solution do you use? Kloudio gives users the power to access and update any database within Google Sheets - without any IT involvement or query language necessary. Gmail Merge for G Suite is a google spreadsheet add-on that helps to do the mail merge by using gmail account. Zoom.ai helps you to schedule meetings, get you prepared for meetings, get you introductions, set reminders, book travel, and more. SignRequest is a Google Docs Add-on that allows you to easily sign documents online using an electronic signature. DocSecrets is an add-on for Google Docs that hides and encrypts sensitive information such as passwords or an idea for a patent. * We monitor all Crop Sheet for G Suite reviews to prevent fraudulent reviews and keep review quality high. We do not post reviews by company employees or direct competitors. Validated reviews require the user to submit a screenshot of the product containing their user ID, in order to verify a user is an actual user of the product. Hi there! 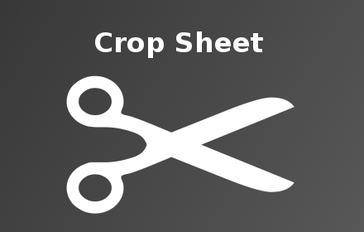 Are you looking to implement a solution like Crop Sheet for G Suite?